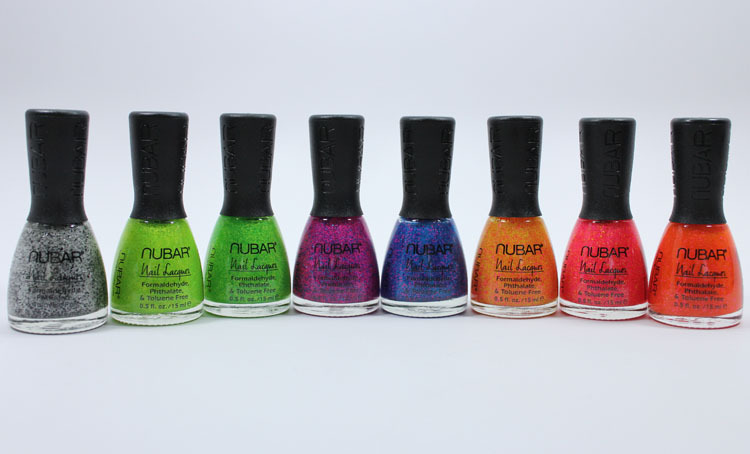 Today I’ve got a new collection called Nubar Crushed Candy. 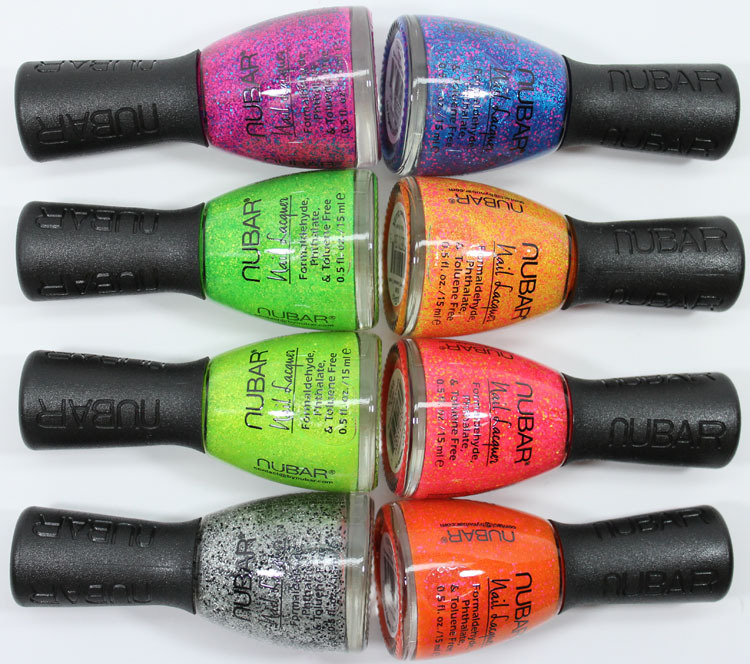 This collection features eight new shades labeled as “sand-like textured polish”. In fact, they are not textured like say Zoya PixieDust or OPI Liquid Sands are. 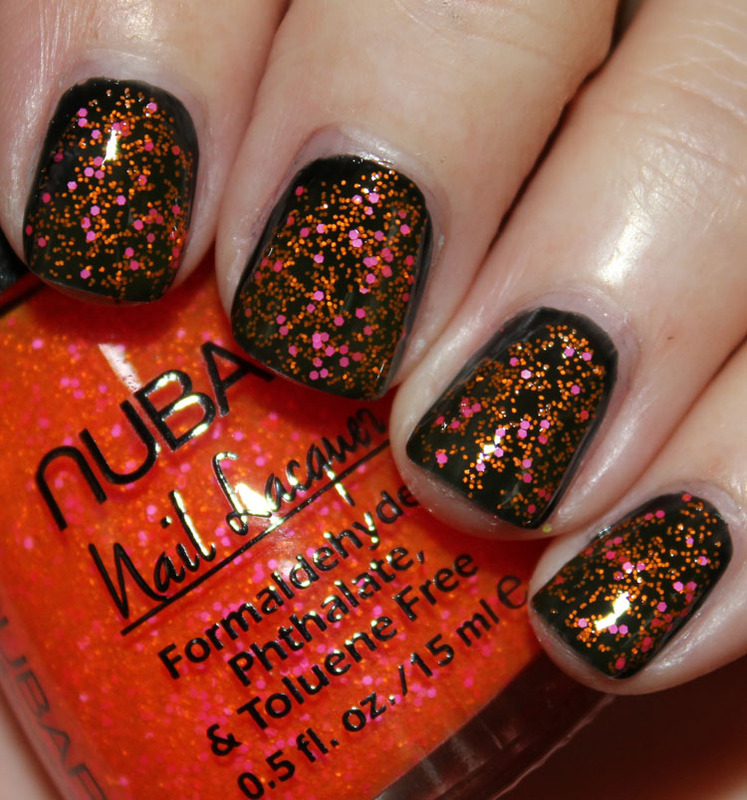 They are gritty-like when they dry when you don’t use a top coat, but really, these are just glitters in a clear base. They actually say on the bottle to use a top coat. Despite the fact that they aren’t your traditional textured polishes, they are cool as hell and I love them! I swatched these over black so you could see them in their full glory. All were two coats over one coat of black except the first one, Lemon Lime Crush, where I used just one coat for some random reason. Lemon Lime Crush is green and yellow. Apple Pucker Crush is green and yellow. This is nearly the exact same thing as Lemon Lime Crush. The differences are so incredibly subtle that I can’t even tell if there really is a difference of any kind. Cotton Candy Crush is fuchsia pink/purple and blue. Berry Blue Crush is bright blue and hot pink. Strawberry Lemonade Crush is yellow/orange and pink. Watermelon Crush is pink and yellow. Orange Slice Crush is orange and pink. Rock Candy Crush is silver and black. It looks better over a white because you can see the black glitter. Below I showed you what it looks like over black. Over black Rock Candy Crush just looks like silver glitter. Overall: I really love these! 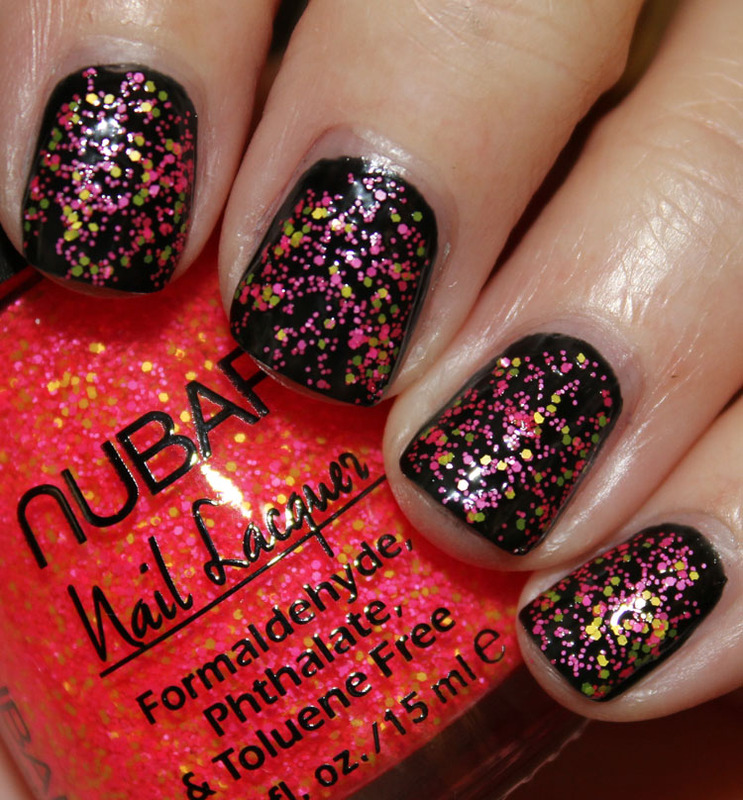 There are some really great glitter color combinations. In fact the ones I didn’t expect to like that much are my favorites and the ones I thought would be my favorites look more average to me. My favorites are Strawberry Lemonade Crush, Watermelon Crush and Orange Slice Crush. 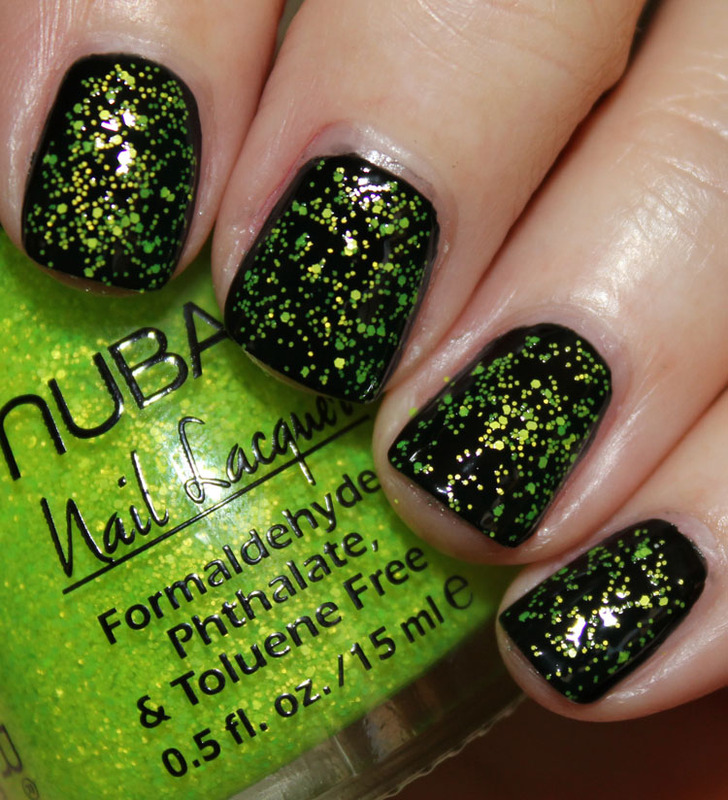 Both Lemon Lime Crush and Apple Pucker Crush look identical on the nail, but I still like the effect. They apply really easily and don’t get clumpy or too thick with a second coat. Fun collection, even though they are not *really* textured. 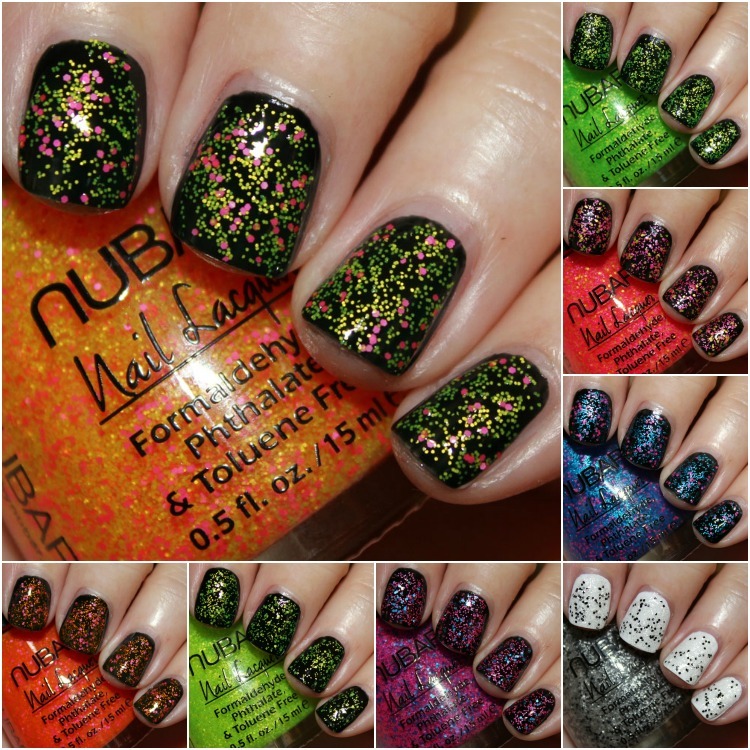 Availability: Nubar. I don’t see them up yet, not sure when they are officially releasing. What do you think about Crushed Candy? See any shades here you want?